Heat oil to 375 in a deep pan. Stick a popsicle stick into each hot dog half. Combine corn meal, flour, salt, baking powder, and cayenne. Stir in egg, honey, and enough rice milk to make a thick batter. 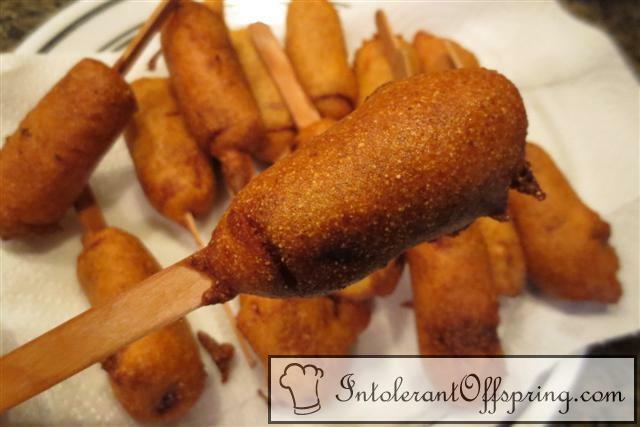 Dip each hot dog into batter and gently lay the entire dog in the hot oil. Fry for 3-4 minutes or until deep golden brown.